Engineering is an ancient art form. For thousands of years mankind has been engineering an array of inspiring feats that have helped to shape the course of human history. In fact, the annals of history are positively overflowing with example of great civilisations and the even greater engineering innovations that they produced. And one of the most notable of these had got to be the Roman Empire. The Ancient Romans are most renowned for their military excellence and impressive empire building. But did you know that the Romans were some of the greatest engineers that ever lived too? In truth, it was thanks to their extensive engineering expertise that many of their campaigns were so successful! 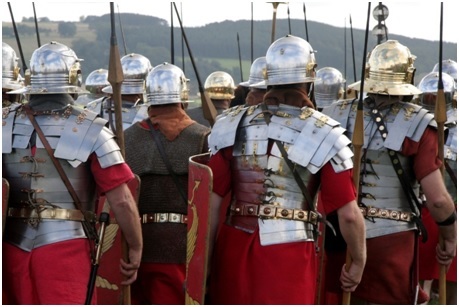 Roman weaponry was instrumental to the success of the Roman army, and to be successful, these weapons had to rely on some pretty innovative engineering. The Ballista was one of the most powerful weapons in the Roman military’s arsenal, and was definitely a force to be reckoned with! Simply put, Ballistae are a type of ancient missile weapon, designed to launch large projectiles – such as stones and darts – at a distant target. As such these powerful weapons had a key role to play in the siege warfare operations at which the Romans were so adept. 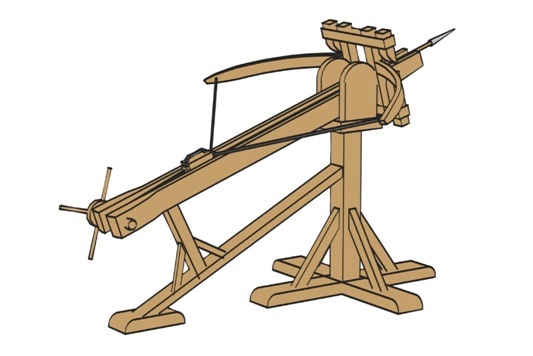 Originally developed by the Greeks, the Romans refined the design of the ballista further, making it much more mobile, efficient, and accurate. Roman ballistae were typically made of wood and loops of twisted animal sinews or hair and worked in a similar way to springs! They had an appearance akin to that of a large frame-mounted crossbow. However their mechanism of propulsion was quite different. These weapons used a form of propulsion similar to that found in torsion springs – a type of spring designed to work by torsion or twisting. These rudimentary springs consisted of two coils of rope, made from hair or animal sinew, which were encased in a metal plated box placed under tension. This acted as the spring, which, when released, gave the arm of the ballista some serious propulsion power! More specifically when these rudimentary springs were tightly wound and allowed to snap back, they were capable of launching missiles distances of up to 500 yards – pretty neat right?! Another example of Roman military engineering at its best, is the Scorpio- or scorpion. This piece of Roman artillery was a weapon of incredible power and precision. And as such, it was dreaded by all the enemies of the Roman Empire. 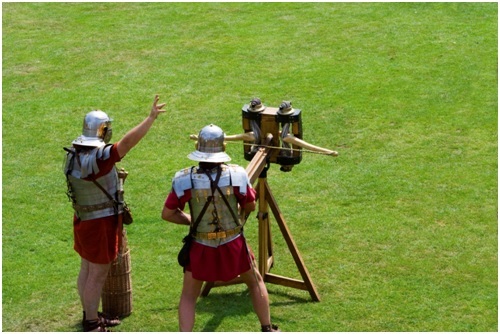 This weapon was similar to the ballista but much smaller in size and consequently was typically employed not as a siege weapon, but rather as a piece of field artillery, supporting Roman infantry on the frontline of the battle field. These weapons were most commonly used to strike down enemies within a distance of 100 meters, and this is something they were able to accomplish with terrifying levels of precision. Operated by one man alone, the scorpio was basically an early type of crossbow. But instead of arrows these devices shot arrow-tipped bolts instead – yikes! In order to propel these bolts the scorpio also relied on a system of torsion springs – which the Romans referred to as tormenta. Remarkably, the Romans also wrote manuals detailing formulas for the lengths of the springs and the weights of the bolts used in these weapons, some of which still survive today. So there we have it, some amazing examples of the engineering might of the Roman Empire. What’s more, all this also goes to show that sometimes springs can be found in the most unexpected of places too! Here at Airedale Springs we’re passionate about engineering on all scales. We can supply a wide range of state of the art springs from tension springs to small springs and like to think that all of our springs are engineering marvels in their own right too. If you would like to know more about our products and services, please don’t hesitate to contact our friendly team today by giving us call on 01535 643456 and we will be happy to answer any questions you may have.